Born August 17, 1928 to Mr. and Mrs. Otis Angell, Dwight was a graduate of Denver’s South High School and Colorado State University, where he belonged to Sigma Alpha Epsilon Fraternity. 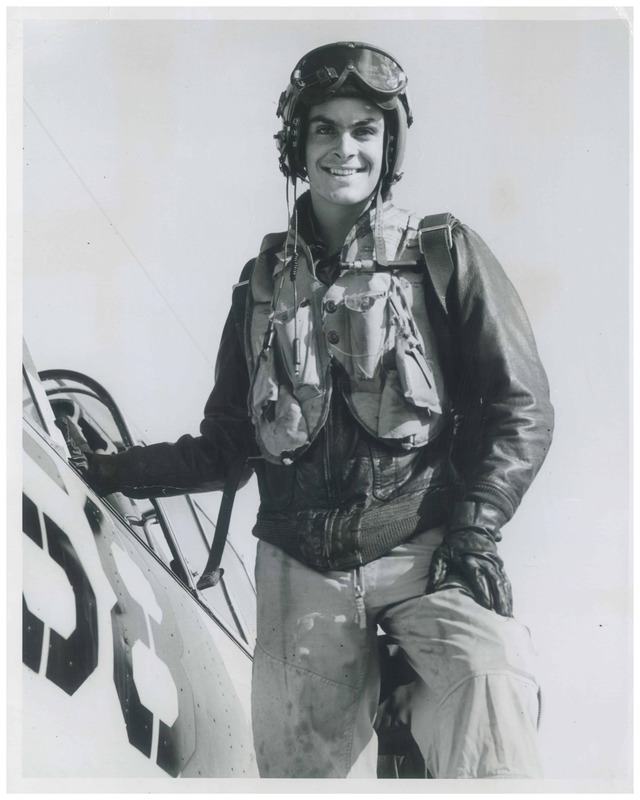 He enlisted in 1950, earning his Navy wings in 1952. Shortly thereafter, he married his college sweetheart, Gerry (Brittingham) Angell, and reported for duty in Hawaii. On January 18, 1953, while conducting surveillance, his Lockheed P2V-5 Neptune was shot down by Chinese anti-aircraft fire near Swatow, ditching in the Formosa Strait. All but two of the crew were rescued by a Coast Guard Martin PBM-5G Mariner. As the PBM took off the starboard engine quit, the plane cartwheeled and crashed. Ten men from the two crews were rescued by the USS Halsey Powell. Dwight was among eleven men who went missing that night.